Blake Ferguson gets a hug from coach Brad Arthur during Parramatta training. 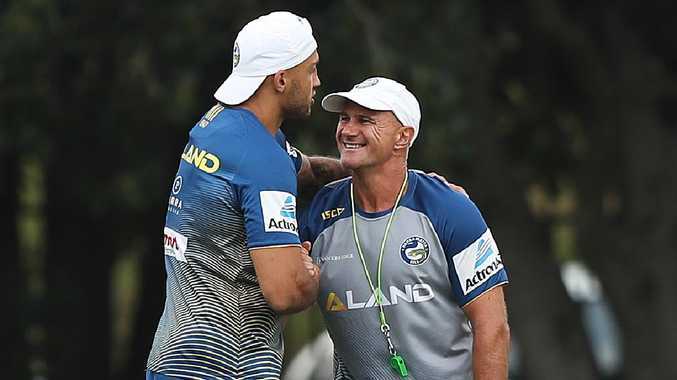 IT'S the Brad Arthur bonding sessions that have brought some of Parramatta's toughest men to tears and it is hoped they will help the Eels return from the NRL wilderness. 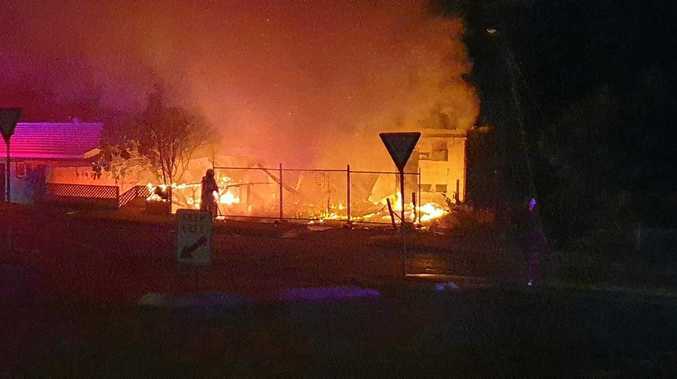 In the wake of the club's searching review into their football operations late last year, it became clear to Arthur and Eels management that the playing squad had become splintered and they were no longer tightly-knit like they were in 2017. After three wooden spoons in seven years and just two finals appearances in 11 seasons the club was forced into action. An overhaul and expansion of the club's leadership program was at the centre of the review's recommendations handed down by noted consultant Shane McCurry. The task for Arthur was to bring together a group which had drifted apart in 2018 and failed to deliver on the expectation generated by their fourth-place finish the season prior. So before every pre-season training, two members of the playing squad and training staff were made to stand before the rest of their clubmates and present three things which meant the most to them. "A couple of the boys have teared up," halfback Mitchell Moses said. 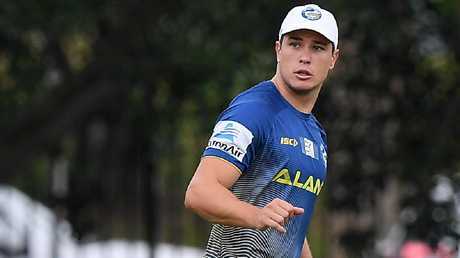 Eels star Mitchell Moses believes Brad Arthur’s bonding sessions will bring the best out of the team. "It's been pretty touching to see how much this means to them and footy means to them and how much family means to them. "It's a pretty good thing that Brad has done." Many brought in photos of their loved ones, mementos from their homes or footballing careers. "I think it's just given us an insight into everyone's lives," Moses said. "And you do feel closer to the boys that have opened up about some of the things you didn't know about." So a group of footballers, who are taught from a young age to hide injury and emotion and present a stiff upper lip in the face of adversity and pain, were asked to bear their souls. And on more than one occasion, the emotion was too much for the players to conceal. "I had a photo of my family and I had my bible. I presented two," prop Kane Evans said. "I talked about that and why it meant so much to me. "I was crying. I was full tearing up. I'd never had to present that to other people."